Note: This post is part of a series dedicated to highlighting recent books by UCSD professors. 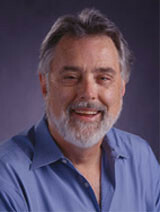 Steven P. Erie is a professor of political science and is the director of the Urban Studies and Planning program at UCSD, where he focuses on urban politics and public policy. In addition to Dr. Erie’s academic work, he has also served on the Governor’s Infrastructure Commission and advises San Diego public officials and city leaders. 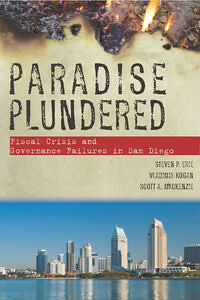 His latest book, Paradise Plundered: Fiscal Crisis and Governance Failures in San Diego, explores the roots of San Diego’s persistent failure to deliver good governance to its citizens. To learn more about the book and government failure in my adopted city, I sat down with Dr. Erie to discuss Paradise Plundered. Prospect: What motivated you to write Paradise Plundered, and what can you tell me about the book? Dr. Erie: What motivated me to write [the book] is that I’ve lived in San Diego for 30 years, and in that time I have been involved in a whole lot of civic issues: airports, charter reform, water supply issues, etc. San Diego is a very understudied city; of the top ten cities in the country it’s the least studied, so it’s low hanging fruit. The book, Paradise Plundered, started out as Troubled Paradise, and [originally] was going to be a political biography of an understudied sunbelt city when we started the project in 2006. Over the course of five years as events unfolded, the tone and the title got darker: from Troubled Paradise to Paradise Plundered. After the 2007 wildfires, I suddenly realized that we were no more prepared to fight major fires in 2007 than we were in 2003. I began to look into that, and realized that San Diego simply didn’t want to pay for fire safety. They wanted somebody else to do it: Cal Fire, or mutual aid with Orange County or Los Angeles County. And then of course the fiscal crisis, the pension scandal, the near permanent budget deficit… The book morphed from a political biography into a much more focused look at the City of San Diego’s fiscal crisis and related government failures. There’s a chapter on redevelopment San Diego style and a peculiar institution in San Diego called the Center City Development Corporation; no other California city has a non-profit corporation that traps all of its tax increment financing downtown. The others are all citywide, and the funding is spread to the neighborhoods, not just kept downtown. There’s a chapter on planning and the legacy projects like the Storybook library and convention center expansion, a new Chargers stadium, a new city hall. How, as we’re teetering on the edge of bankruptcy, do we go full speed forward with these monumentally expensive city projects downtown, all of them of course at no additional cost to taxpayers? So the book really became focused: four of the six chapters are on the City of San Diego since 1990 covering the fiscal crisis and its impact on public services and governance. And that’s how we ended up with Paradise Plundered, instead of Troubled Paradise. Prospect: The book characterizes San Diego as America’s most badly governed large city. Can you elaborate on that claim? Dr. Erie: That’s not the way that San Diego proclaims itself to the world, and actually San Diego won awards for being very well governed in the 1990s. But what we mean by badly governed is is that there is a lack of recognition of what the fundamental problem in this town is, which is the lack of revenue and resources. In the book we benchmark San Diego with the other leading ten American cities — we throw out San Francisco, because it’s a combined city/county, which throws the spending pattern there off — and San Diego today spends fifty percent less per resident on basic public services than just the average of San Jose, Anaheim, Long Beach, Los Angeles, Oakland, and the other California cities. Part of our fiscal crisis is self-induced; we want the services, but we don’t want to pay for them. But at the same time, there is San Diego’s aspiration for civic greatness in these huge downtown legacy projects in a time when we’re closing libraries. We have an unaccredited fire department, and are 22 fire stations short of meeting national accreditation standards. We have the smallest police force per capita in the country. This is not Chicago-style corruption, but instead just basically a town that wants public services but doesn’t want to pay for them, and then has to find someone to blame when there are lapses or failure in public service. I don’t know if you want to call it the most badly governed city in the country, and it’s not an issue of official corruption — a political machine or a dominant party, etc. — it’s the fact that basic public services are not being adequately provided to residents, and we don’t see any solution in sight. Prospect: What makes San Diego different from other California cities? Why is there such a disconnect between spending and revenue here? Dr. Erie: There’s a very strong libertarian culture in San Diego, and it goes back quite a ways. We looked at things like voting on tax and bond measures and since 1995 sixty percent of the tax and bond measures — almost all of them requiring a two thirds vote — have been approved in the other California big cities. In San Diego: zero. If you look at city revenue and expenditures you’ll find that San Diego is the only California big city that believed in Proposition 13. Every other California city with a wink and a nod found new revenue: utility taxes, higher business license fees, higher hotel taxes… except San Diego. And that’s one of the reasons that we are in the situation that we are today, where the demand for services so far outstrips the available revenue. But there’s something about the culture here, and the absolute irony is that it’s an absolute contradiction to how San Diego was built. San Diego was built by big government. Look at the military and the State and the University of California [higher education] systems to see how jobs have been created in San Diego! But when it comes to local government there’s this strong libertarian streak, even more than in conservative Orange County. Orange County has a county fire authority, and they’re willing to pay money for it! But somehow in San Diego, there’s a tremendous demand for public services but there’s an incredible unwillingness to pay for it. We call it a free lunch town. San Diego skyline. Image by Wikimedia user Ted "Rufus" Ross. Prospect: What lessons can we draw from San Diego? Tax is a four letter word in this town. San Diego was an early adopter of this kind of free lunch attitude towards local government. What we’ve seen in the last ten to fifteen years is that it has spread throughout the state, and then nationwide. San Diego is just a precursor to an awful lot of national trends. Prospect: What if anything can residents do to improve city governance? Dr. Erie: Residents certainly can, but the question is what are they going to do? Right now what’s happening in San Diego is two things: one is that we’re moving towards called managed competition, i.e. city agencies have to compete with outside private firms for things like landfills, garage services, and street repair, with the argument being that the private sector can do it more cheaply. That’s not always the case — the jury is still out on the economic benefits of privatization. The other thing is that the source of the city’s fiscal crisis — its structural budget deficit — has been popularly identified as public employee pensions rather than the gross underspending on basic public services. So we now have a proposal to freeze city salaries for five years and for new hires to move from a defined benefit to a defined contribution program, which is probably going to pass. This is going to make it a lot harder to recruit and retain city workers, when they can go to [neighboring] Chula Vista and get a more generous pension and fringe benefits package. But the crazy thing is is that people don’t realize that the spike in the pension [costs] and the so called $2.1 billion pension liability today has very little to do with the so-called generous pension programs of the late 1990s, what are called “Managers’ Proposal 1” and “Managers Proposal 2”. Those two [proposals], which increased pension payouts and also some retrospective pensions, only accounts for 15 percent of the $2.1 billion unfunded liability. The vast majority is due to investment losses. Public pension systems decided that there was a free lunch, and went to Las Vegas — Wall Street. That change [shifting pension funds from safe, low-yield investments like bonds and Treasury bills to higher-yield but riskier stocks] is the largest source of the spike in [pension] liabilities, and the pensions’ share of the city budget. The second cause is that we have systematically underfunded and diverted money from the city pension system for years. We underfunded it to pay for things like the Republican National Convention and public safety back in 1996. The cause of the pension spike is complicated, but to this date it’s not the so-called “Cadillac pensions” of 1996 and 2001. But you’d never know it from reading the newspapers or listening to the debates in this town. [The rhetoric] is all about Cadillac pensions, and the public of power sector unions. Public sector unions were the junior partners in most of these agreements. It was really elected and appointed officials concerned about balancing budgets and not going to voters and using the “t” word — the four letter word “tax” — so they took money out of the pension fund. Moving forward, there are going to be no revenue increases in the City of San Diego, in terms of new taxes and all of the savings from pension reform are going to be at least twenty years out. But managed competition and pension reform seem t o be the only options on the table. What’s going to happen to basic city services, to libraries, parks, and police and fire? I don’t see any easy solutions, unless some leader is willing to have the cojones to tell the public that if you want these services, you’re going to have to pay for them. And nobody wants to do that.